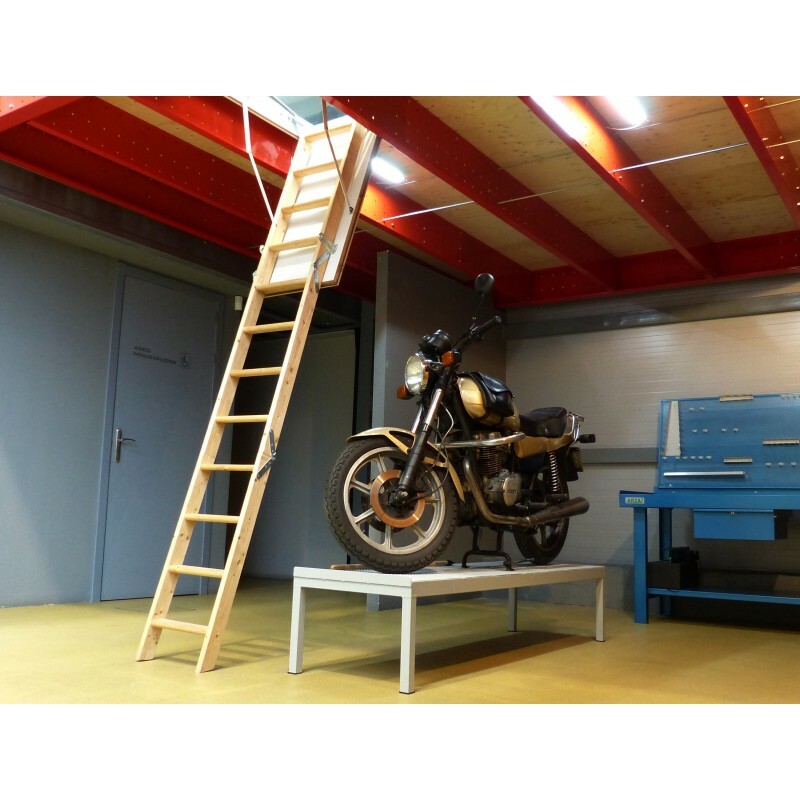 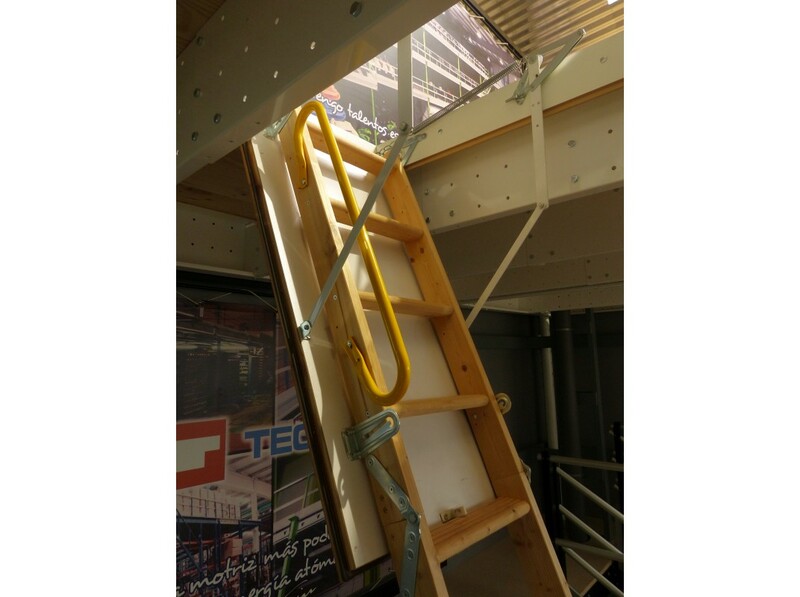 Retractable wooden ladder that eases a comfortable and secure access to the upper side of the mezzanine or structure where it is located. 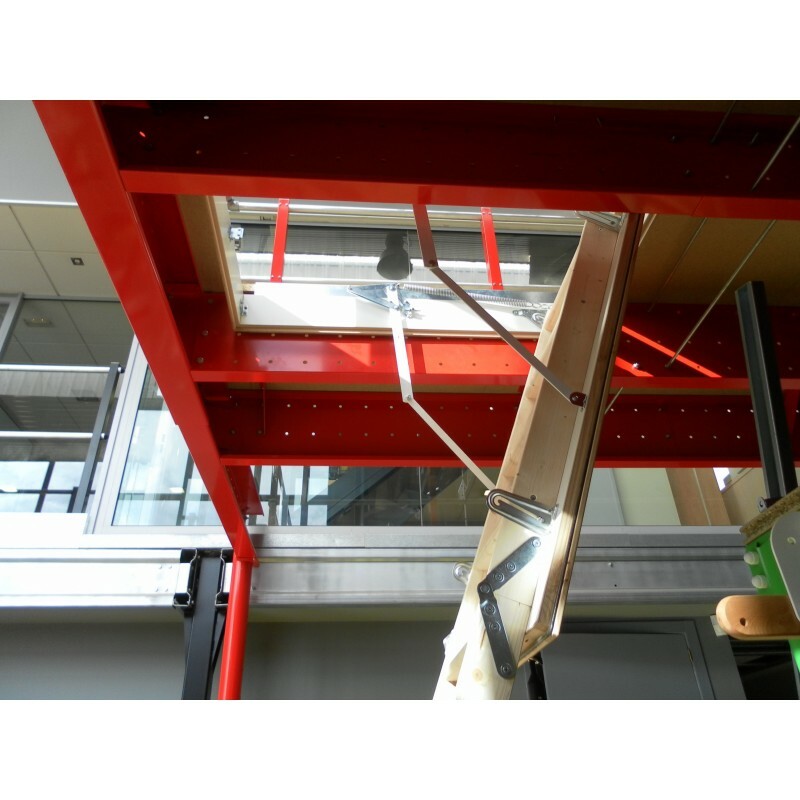 It is a functional and tough element that does not modify the room space and meets the technical requirements and current security regulations. 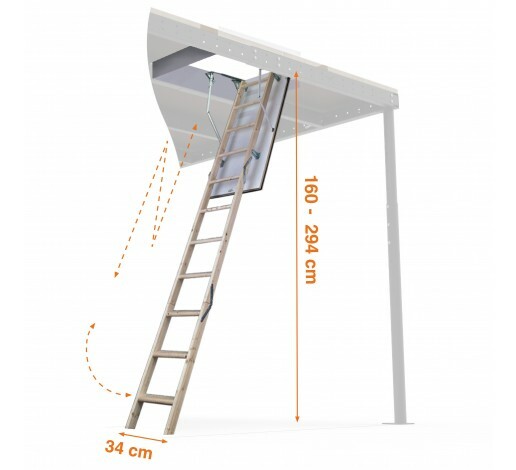 It is ideal for installation in rooms where you want to save some space. 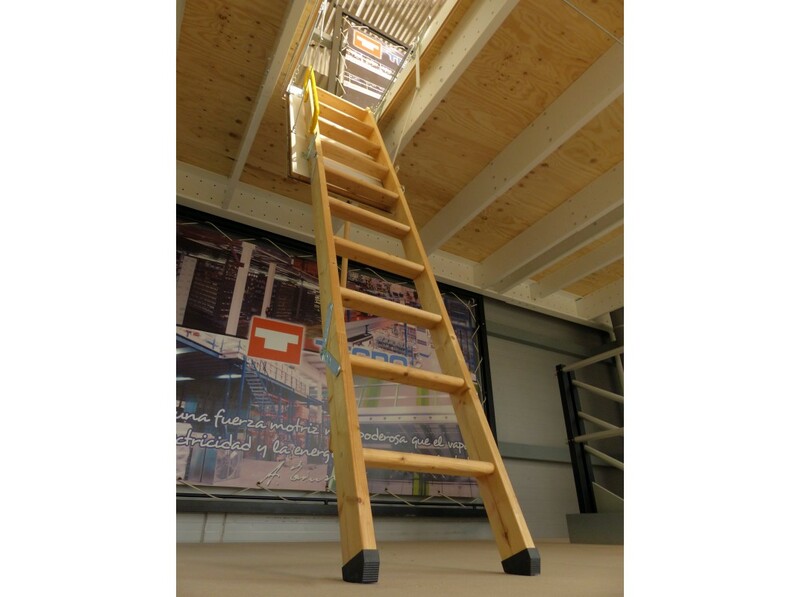 The Telescopic wooden ladder can be folded into three sections and stored in a drawer which is hidden in the structure when not in use. 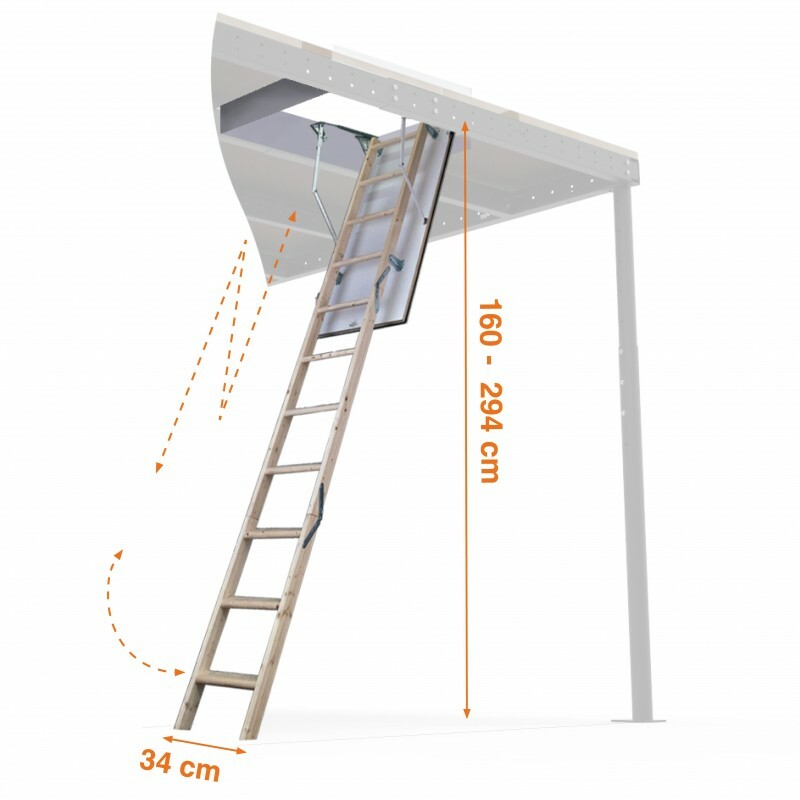 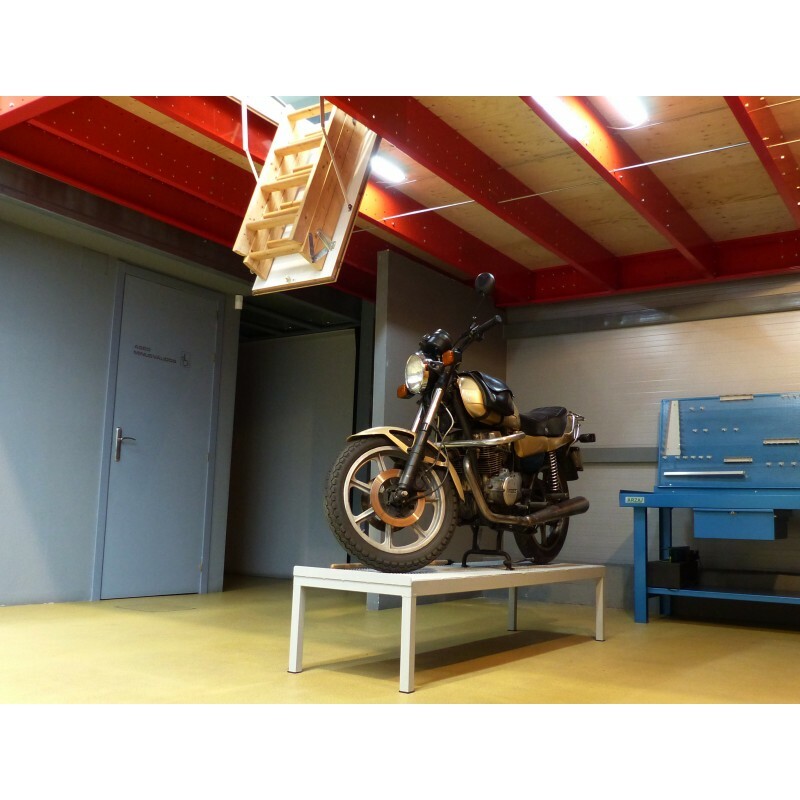 Easy installation and height-adjustable up to 294 cm. 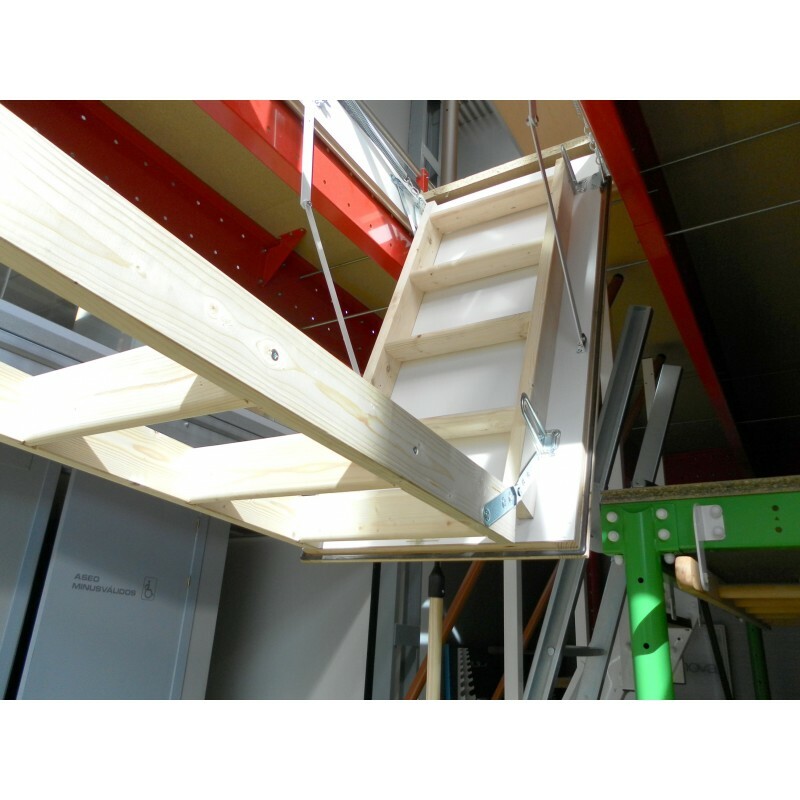 It includes a bottom cover, steel railing to ease going up and down, as well as rubber stair shoes. 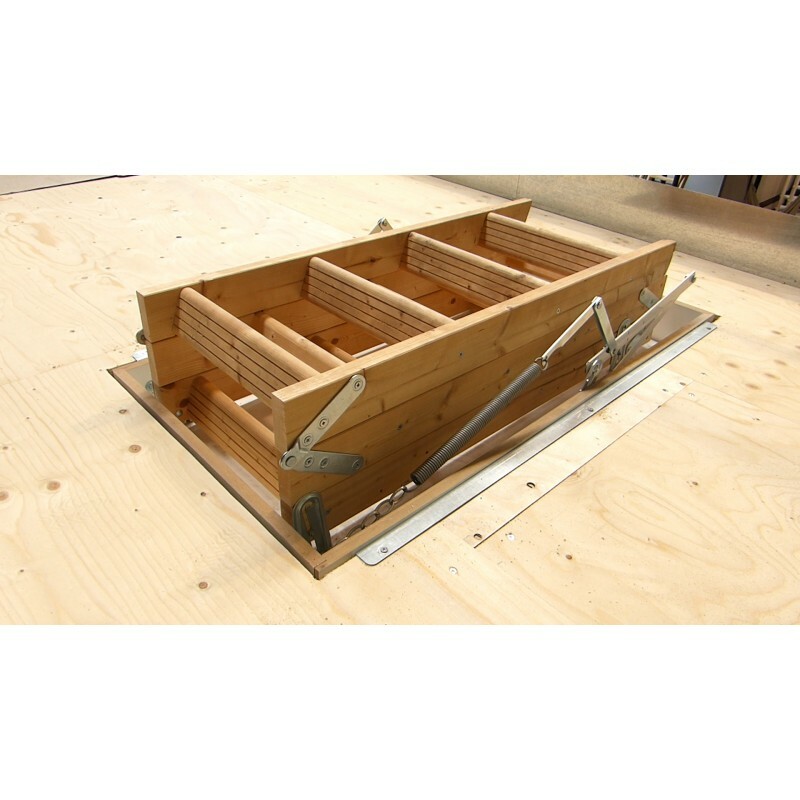 Material of the steps Premium beech wood with natural finishing.